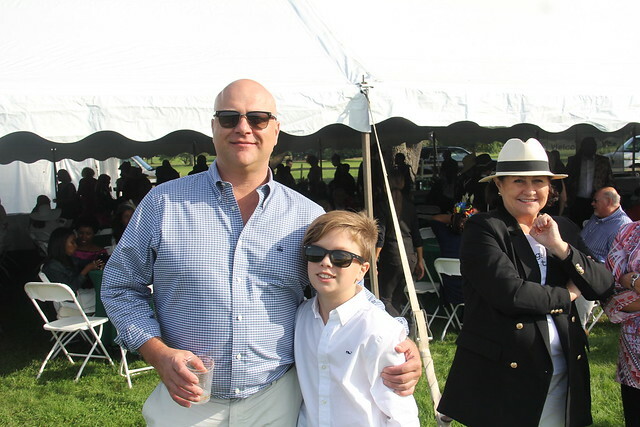 The 16th annual Polo Match and Lawn Party to support SUNY Old Westbury was a great success. The Old Westbury College Foundation, Inc. welcomed more than 300 guests in September 2018 for a day of great fun, good food, and competitive polo! The Old Westbury College Foundation was proud to honor a stellar group of during the event. The 2018 Alumni Leadership Award honoree was Joseph Sheehan ’99, president of Colony Pest Management, Inc. Winners of the 2018 Distinguished Leadership Award were the founders and owners of trendy Brooklyn hotspot BK9 Restaurant and Bar -- Gary Casimir ‘88, Watson Jean–Baptiste ‘97, Nerva Jean-Pierre ‘91, Gerry Conze, Neslie Brunach ‘97, and Paul Dorestant. Rachel Lee Davis, a member of the Foundation board of trustees and a long-time member of the Suffolk County Human Rights Commission, was recognized with the Old Westbury Learning and Leadership Award. Interested in attending a future fund raising event or in other ways to support SUNY Old Westbury? Please visit the Giving section of the College website for details or call the Office of Institutional Advancement at 516-876-3207.